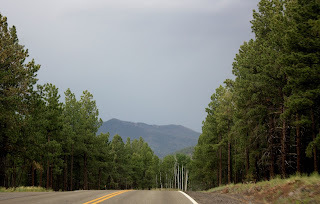 The Southwest Through Wide Brown Eyes: Flagstaff, Arizona - The Old West Keeps a Toe Hold. Flagstaff, Arizona - The Old West Keeps a Toe Hold. Route 89 in Arizona; if you decide to bypass Route 64 leading to the South Rim of the Grand Canyon, then you're headed towards the San Francisco Peaks and Flagstaff. So now you're saying, "Really, pass up seeing the Grand Canyon?" No, not exactly; I'm suggesting you enhance the total experience with a visit to Flagstaff. In fact, if you have a couple of days to spend in the area, even better; visiting Wupatki National Monument and Sunset Crater Volcano is highly recommended, and I'll explain why in future writings. 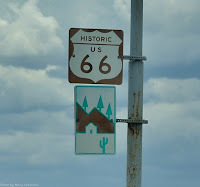 Roy and I went to the Grand Canyon twice, once using Route 64 off Route 89 and once passing through Flagstaff via Route 180 to Route 64; basically it is a loop of sorts. It's not that confusing, I promise. Lets get this road trip started; so you've just done a rest stop at the Cameron Trading Post, gassed up the vehicle, maybe purchased one, oh who am I kidding, many souvenirs. Traveling on Route 89 westward, you'll see the turnoff for Route 64 to the South Rim, but you're going to stay on Route 89 towards Flagstaff (two hours in travel time). You'll notice that the landscape will begin to change from desert to more residential areas here and there, and much more greenery. 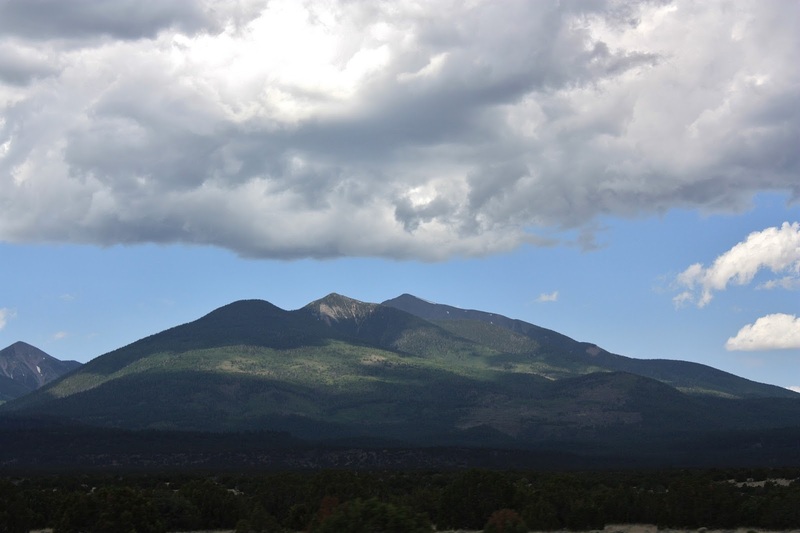 In the distance will be the San Francisco Peaks; a volcanic mountain range with Humphreys Peak as the highest point in the state of Arizona at 12,633 feet. You'll be traveling through this range much later on when you finally get back on the road to the Grand Canyon. As you begin to get closer to Flagstaff, the traffic will increase and the scenery will change drastically to typically urban encroachment...malls. Starting to get hungry? Hold off on that until you park in the older section of Flagstaff; there is a virtual smorgasbord of restaurants to choose from. 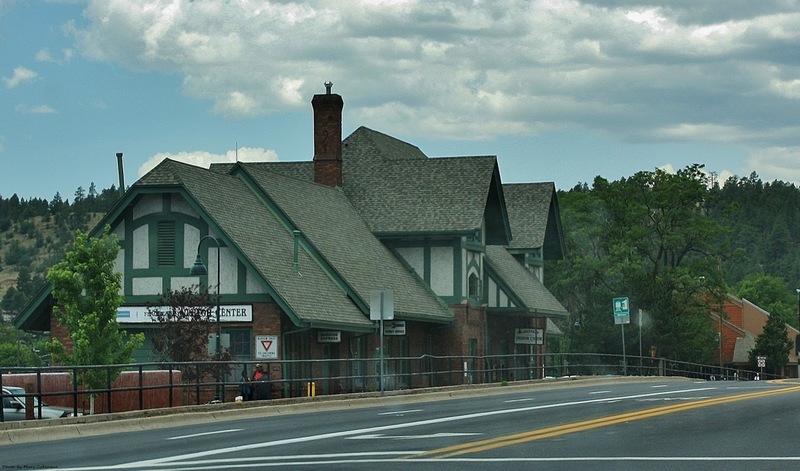 The biggest clue that it's time to park, get out and begin exploring the area is when you see the train engine pulling its load of timber; and the old train station which is now the Visitors Center. 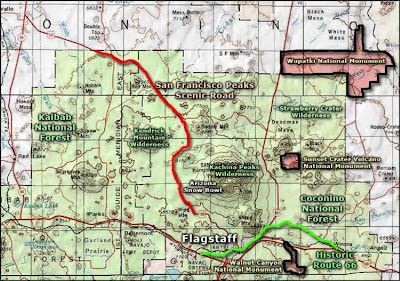 I'm not going to give you a detailed history of Flagstaff; better yet, click HERE for the information guide given out by the Visitors Center. Oh, and for those interested in historic Route 66; this road through Flagstaff is part of it. So, welcome to Flagstaff, Arizona; you're in the historic section with many of the original buildings sharing the city with modern attributes. While in some cities, tall steel buildings overwhelm the historic ones, but Flagstaff has managed to avoid that mistake. As I mentioned before, there is a cornucopia of restaurants, along with offices, retail stores and micro malls within buildings; one of which houses the Flagstaff Chocolate Company...yum! Brick facade office buildings might have a small "park" for public use; showcasing works from local artists. A mural decorates the outside of Diablo Burger restaurant, again displaying how the old and new have married well with each other. Outside the Federal Building, old time street lamps are adorned in copper leafing. The Hotel Weatherford (circa 1890) still stands on the corner of Aspen Avenue; a piece of history seems to be on almost every street in Flagstaff. Alright, you've had a fun time in Flagstaff, but what about the Grand Canyon!?! 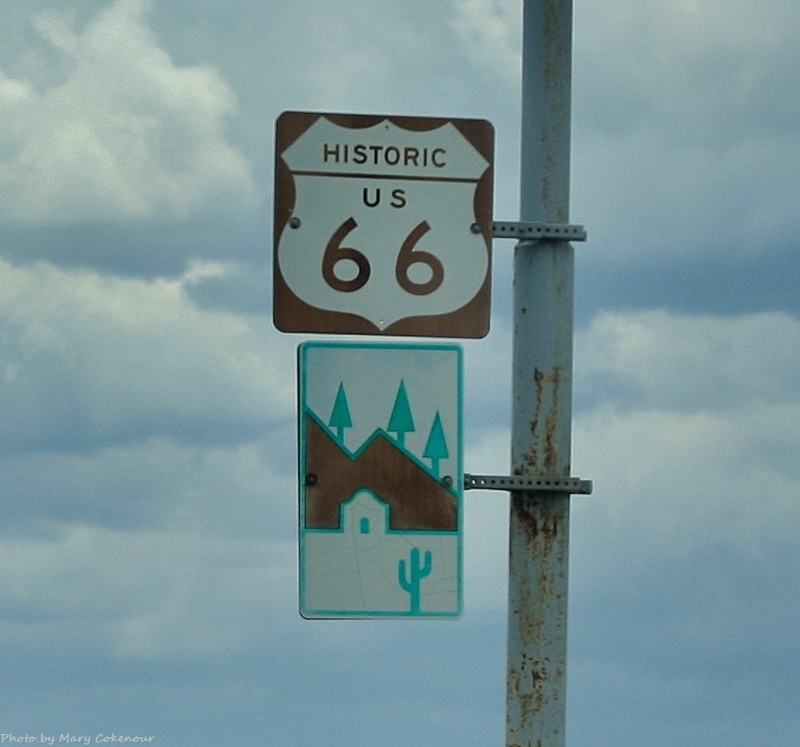 Simply head west on Route 89 until you see the sign for Route 180 and make a right onto it. 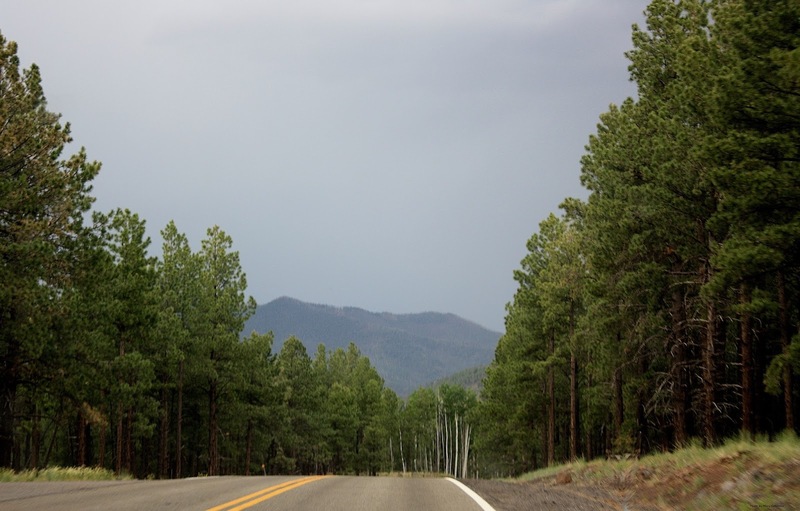 This will take you through the San Francisco Peaks, a wonderfully scenic ride; you'll eventually meet up with Route 64 again. Just make a right and follow the route until you see the signs for the entrance to the Grand Canyon's South Rim. See, not that confusing and you're dealing with major routes, no side roads to get lost on. Enjoy the visit to Flagstaff! You have succeeded in making me homesick for my favorite place in the USA.